Special Agents David Elliot Sullivan and Charles Hustmyre were returning to New Orleans after participating in a tactical training exercise at Ft. Chaffee, AR. As they drove along I-49, north of Boyce, LA, a tire blew out on the Government truck causing them to crash. Both agents were immediately rushed to the Rapides General Hospital in Alexandria, but Agent Sullivan died shortly thereafter. Agent Hustmyre, although critically injured, survived. 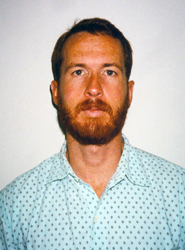 Agent Sullivan joined ATF on November 8, 1987, and was assigned to the New Orleans Field Division. He carried badge #2280. 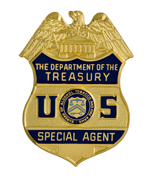 Agent Sullivan was a member of the New Orleans Special Response Team (SRT). He had participated in the initial raid and subsequent gunfight at the Branch Davidian Compound in Waco, TX, only 13 months earlier. Three of the four ATF agents killed that day were close personal friends. Agent Sullivan's contributions to ATF programs were significant. For example, he was one of the innovators and driving forces behind the ATF GUNS hotline. This program was conceived and tested in New Orleans before becoming a national and highly successful pro-active enforcement program. David was also the developer of the "Forward Observer" concept, now utilized by all SRT teams in ATF. Agent Sullivan proudly served in the U.S. Marine Corps from 1984 to 1986, and held the rank of Lieutenant. During his service he was awarded a Letter of Commendation. David graduated (1981) from the University of Southern Mississippi at Hattiesburg. Agent Sullivan was born in Jackson, MS. He was survived by his wife, Lori and their daughter, Emily.